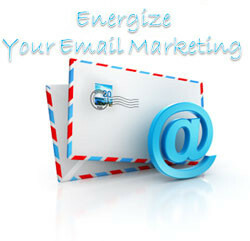 We have clients with very large opt-in subscriber email lists that are having difficult times finding new effective ideas to engage their subscribership. Many of them have told us they have literally run out of ideas. Do you have some best practices or tips we can use to jumpstart their efforts? Answer: Engagement is hard. Coming up with ever new and novel ways to sell the same products and services or to populate emails sent out weekly or sometimes daily can be a drain on even the most creative of individuals. The bottom line for email marketing is really pretty simple: create content that inspires an action or result on the part of your subscribers. But that is certainly easier said than done. 1. Highlight your Subscribers: What's the best way to spike engagement? Give customers a way to further their connection with your brand. REI has been soliciting member photos through their email and Web site for years. REI then takes the photos and prominently features them in their yearly marketing campaigns. Not only does this increase their click-through rates but it furthers connections with customers by increasing their sense of involvement with how the company is marketed.